It’s flu and cold season, hooray (insert sarcasm)! Illness has the power to throw a wrench into the gears of our routines, and it is especially dangerous for cancer patients who have compromised immune systems. A simple cold is not so simple when you have cancer. It is important for all of us to help keep our immune systems in tip-top shape and these immune-boosting foods can help! Probiotics, the “live active cultures” found in yogurt and other cultured dairy products like kefir, are healthy bacteria that keep the intestinal tract and gut free of disease-causing germs. According to a Swedish study of 181 factory workers, those who drank a supplement of Lactobacillus reuteri (a probiotic that seems to stimulate white blood cells) every day over the course of the 80-day study took 33 percent fewer sick days than employees who took a placebo. According to a Harvard study, people who drank black tea five times per day for two weeks had 10 times the amount of virus-fighting interferon in their blood than those who drank a placebo hot drink, thanks to the amino acid L-theanine. An adequate amount of fiber is important for a healthy body and these grains contain a particular type of fiber, beta-glucan, which has antioxidant and antimicrobial capabilities more potent than echinacea. Shellfish like lobsters, oysters, clams, and crabs are rich in selenium, which helps white blood cells produce cytokine proteins. These proteins, in turn, help clear flu viruses out of the body. When you do eat shellfish, however, please make sure they are purchased from a reputable source (high-quality grocery store or restaurant). Improperly refrigerated shellfish can lead to food poisoning. Yes, the quintessential “I don’t feel well” food, chicken soup has immune-boosting benefits. Cysteine, an amino acid released from chicken during cooking, chemically resembles the bronchitis drug acetylcysteine (according to University of Nebraska researchers). 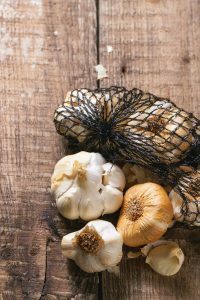 Additionally, the salty broth thins mucus much in the same way cough medicines do AND added spices such as garlic (we love garlic!) give the soup even immune-boosting power. Even a mild zinc deficiency can increase a person’s risk of infection. Zinc is an essential mineral for the development of white blood cells and beef is one of the best sources of it. 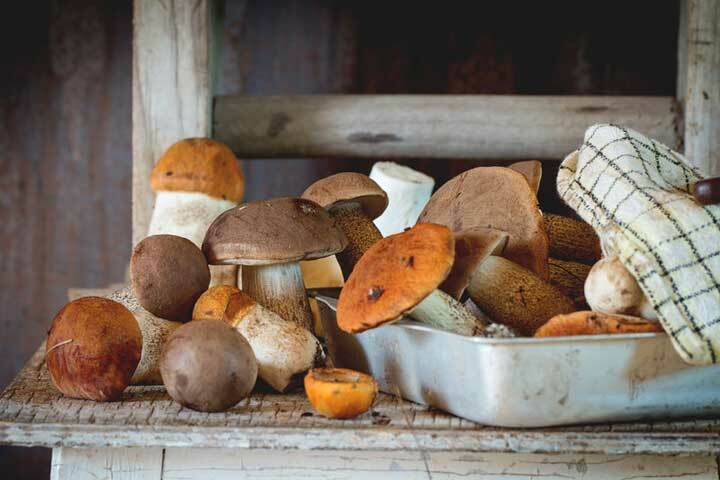 According to Douglas Schar, DipPhyt, MCPP, MNIMH, Director of the Institute of Herbal Medicine in Washington, D.C., mushrooms increase the activity and production of white blood cells, making them more aggressive. Did you know that your skin is one of the first lines of defense against viruses, bacteria, and other undesirable substances? To keep your skin healthy, you need the appropriate amount of vitamin A, which you can get from beta-carotene-containing foods such as sweet potatoes and carrots. By maintaining a healthy diet, you will naturally boost your immune system, but it is important to remember that a healthy diet does not necessarily mean an exclusionary one. When you start cutting out certain foods, you cut out the nutrients too, so be careful to find new sources of those nutrients or your health will suffer.